Today was the inaugural Healthcare Cleaning Forum. The plan was to showcase some healthcare cleaning and disinfection science at the Interclean Conference in Amsterdam (which is a huge general cleaning show). I think we managed to create some awareness about the unique challenges of cleaning and disinfection in healthcare outside of the usual crowd. Last week Jon ended his reflection with a grade A recommendation to close the toilet lid before flushing, as the best way to minimize the potential impact of “toilet flushing plumes”. Even better: do not flush at all. This week we take it from there, in a discovery of what happens subsequently. Let’s take the loo with the highest likelihood of being soiled with antibiotic-resistant bacteria (ARB) and antimicrobial resistance genes (ARGs): the hospital loo. Elena Buelow, former Phd student in our group and now post-doc in Limoges, France, quantified how hospital sewage contributes to the quantity and diversity of ARGs in the general sewerage system. The work was published on-line today. As International Infection Prevention Week (#IIPW) continues, Prof Sally Bloomfield writes a guest blog on the principles of breaking the chain of infection. Whilst the blog is focused on home and everyday life settings, the principles are relevant to healthcare facilities too! This is international Infection Prevention Week. 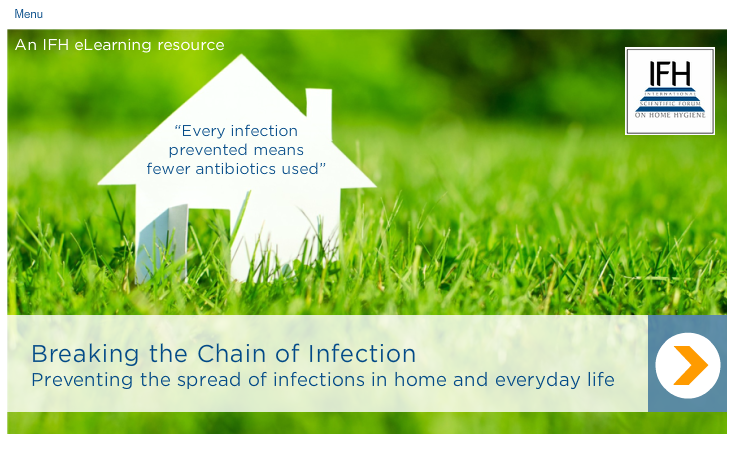 To address this year’s theme “Breaking the Chain of Infection” the International Scientific Forum on Home Hygiene (IFH) has produced a simple online resource Breaking the Chain of Infection.